The truth is that it’s hard to foresee the physical death of a person. In Tarot reading, though there are certain Tarot cards that can represent it, it’s usually a combination of several cards rather than just one. 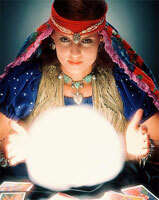 But when it comes to clairvoyance, do you think a clairvoyant can use clairvoyant abilities to predict death? They can give the prediction of a terminal illness or possible pending death for someone and have 50% chance of being right; yet, most psychics choose not to predict a death for a specific person in any form of divination – they believe that it’s very unethical. Keep in mind that predicting death is not always an easy thing; at the same time, a genuine clairvoyant will never like to forecast or tune into when an individual is going to pass. They feel it is wrong to do so unless there is a benefit to someone. 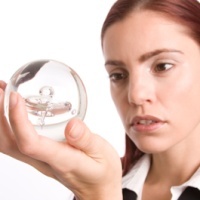 Which Clairvoyant Ability to Foresee Death? This ability is called ‘precognition’. It’s typically under the umbrella of claircognition (meaning ‘clear knowing’). 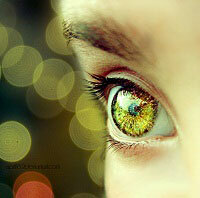 Basically, it is out gut instinct or feeling, a sort of intuition when something happens. We are all born with an extraordinary sense of knowing something without knowing why. Claircognition is the most common psychic ability but often dismissed, since we are living in a universe that tends to dismiss any quiet voice inside. Most of us are dismissive in any sort of information popping up without having a context for it. A story, a narrative, or linear logic from our brain will tell us that the info is valid and fine. A type of precognition is the ability to see or sense death, such an incredibly useful ability to have. This can be sorted as a vague sense of knowing to full clairvoyant ability of seeing an individual’s death in the near future. People who experience the process may go through different symptoms, such as headache, stomach issues, nausea, or emotional imbalances from seeing so much death around. 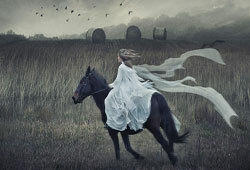 The question is – If you ask about your death, what can a clairvoyant tell you? You need to understand that it’s ethically wrong to tell someone that they are going to die, or inform them any sort of psychic info that the clairvoyant is picking up about them. Only if the seekers come to you for guidance or pay the reader, and that person, also, deeply question if they sincerely crave for the info he/she is picking up about them. However, the ability to predict one’s death is not always 100% accuracy; it means you could be wrong sometimes. In short, can clairvoyants predict death? According to my opinion, you should do nothing about the information regarding someone’s death. Do not tell them as, basically, it’s ethically so wrong for a variety of reasons. 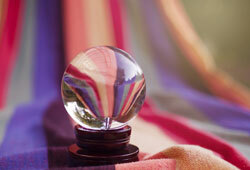 Next article: What is the Difference Between Psychic and Clairvoyant ? 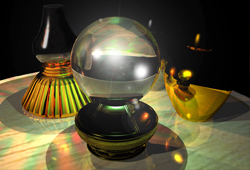 How Accurate Are Clairvoyant Readings?